Selangor: Over the past three decades, Malaysia has become the “fattest” country in Asia, with nearly half the Malaysian adult population now overweight or obese. Along with obesity comes obesity-related diseases such as fatty liver. The big concern about fatty liver is that it can be a silent killer. According to UM Specialist Centre (UMSC) gastroenterologist and hepatologist, Associate Prof Dr Chan Wah Kheong, fatty liver is a condition that is characterised by excess accumulation of fat in the liver, with chronic over-nutrition as the most common cause. “Our daily energy requirement will gradually increase from the time we are a child to when we become a young adult. From then onwards, our energy requirement starts to decline as we move to middle and older age, plus a more sedentary lifestyle. “However, a lot of people continue to eat the same amount of food as they did when they were younger, if not more. This will contribute to obesity, a bigger waistline and accumulation of fat in the liver, leading to fatty liver, as well as other diseases such as diabetes mellitus, hypertension and dyslipidemia (abnormal lipid profile),” he told Bernama in an interview, here, recently. UMSC endocrinologist Dr Jeyakantha Ratnasingam, who was also present at the interview, said what triggers the abnormal accumulation of fat in the liver is mainly insulin resistance. “Basically, the body is not able to use insulin in the correct manner when a person is overweight or obese. And that drives the fat into the liver. People who are most predisposed to fatty liver are those who are obese or overweight,” he said. 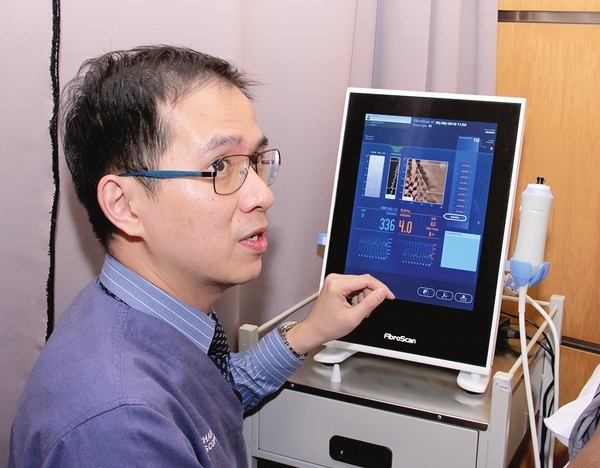 Dr Chan said fatty liver does not manifest any specific symptoms in the early stages. Towards the later stages, a patient may present with complications of cirrhosis, when there is already extensive irreversible scarring of the liver. He said complications of cirrhosis include bleeding from swollen vessels in the gullet, accumulation of fluid in the abdomen that can cause swelling, yellow discolouration in the eyes and skin and other symptoms of liver failure. By then, the quality of life of the patient will be affected and his lifespan shortened despite interventions. “Nowadays, we are seeing more and more patients coming (to the hospital) at the later stages of fatty liver as the disease becomes increasingly common in our population,” he added. Dr Jeyakantha said more public awareness must be created and since fatty liver is a silent disease, a person should consider testing for it if he or she is at risk, for example, if he or she is overweight or obese, or has diabetes mellitus. 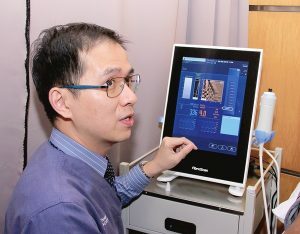 According to Dr Chan, fatty liver has certainly reached an epidemic proportion in Malaysia given that one-quarter of the adult population suffers from the disease. Citing a recent study which found that nearly 25 per cent of apparently healthy adults who underwent a health check-up were diagnosed with fatty liver, he said not many people are aware of fatty liver despite its high prevalence. “Fatty liver increases with age. As a person gets older, he or she tends to have fatty liver. In young adulthood and middle-age, it is more common in men. But as women reach the menopausal age, fatty liver tends to catch up and become as common as in men,” he said. Dr Jeyakantha said before menopause, the hormone estrogen in a woman’s body protects her from fatty liver. “But once menopause hits, that protective effect diminishes, with the risk of getting fatty liver becoming similar to that observed in men. The risk of cardiovascular disease also goes up,” he said. Among patients with diabetes mellitus, the prevalence of fatty liver is even higher, Dr Chan pointed out, adding that it was found that as many as 70 percent of those who were treated for diabetes mellitus had fatty liver. Persons with diabetes mellitus are also more likely to have more severe fatty liver. Fatty liver is part of metabolic syndrome, which is a constellation of risk factors that increase the chance of developing cardiovascular disease. The risk factors include central obesity (defined as a waistline measurement of above 90 centimetres in men and above 80 cm in women), high blood pressure, dyslipidemia (including high triglyceride and low high-density lipoprotein cholesterol levels in the blood) and abnormal blood glucose control (including diabetes mellitus). “Many people are suffering from metabolic syndrome without them knowing it. They usually don’t exhibit any symptoms at all. It is a silent epidemic,” said Dr Jeyakantha. He said based on the National Health and Morbidity Survey 2015, 17.5 percent of the Malaysian adult population had diabetes mellitus. “Fifty percent of the people who were found to have diabetes mellitus in the survey actually did not know they had diabetes mellitus until the survey was conducted, ” he said, noting that most cases of metabolic syndrome are silent until they lead to complications. To avoid fatty liver, Dr Jeyakantha recommends the ‘Suku Suku Separuh’ (Quarter Quarter Half) eating habit, which is being promoted by the Ministry of Health. It means each meal on a standard-sized plate must comprise carbohydrate (quarter portion), protein (quarter portion) and vegetables and fruits (half portion). Dr Chan said brown rice or wholemeal bread was a better carbohydrate option than white rice or white bread, while egg or fish was a healthier source of protein than meat. “Take lean meat instead of fatty meat. Steamed or soup-based food is healthier than deep-fried food. Once a person has diabetes mellitus, he or she must cut off sweet drinks completely. By eliminating sweet drinks and drinking more water instead, he or she can cut away a lot of calories which will definitely help with the condition that they have,” he said. Dr Jeyakantha agreed that the fructose that came in the sweet soft drinks was a big no-no. “The mainstay of treatment for fatty liver is lifestyle modification. Besides diet, physical activity is also important. The recommended exercise is at least 150 minutes per week or 30 minutes on most days in a week. “As for weight loss for overweight or obese persons, a 10 percent body weight loss over six to 12 months will be ideal and can improve fatty liver,” he added. On the growing number of obese children in the Malaysian population, Dr Chan said parents should educate their children on healthy eating habits and encourage them to participate in physical activities. “Otherwise, obese children will grow up to become obese adults and face all the health problems that come with it,” he said.